Welcome to Planet Costa Rica! We are so happy you are considering a farmstay with us! Through the years, we have made friends with people from around the globe that have helped us on the farm. Here you will experience Costa Rica from a perspective far different than that of the tourist. If you are looking to learn about the culture, the vegan or raw food lifestyle, organic farming, animal rescue and care, or simply enhance your conversational Spanish, you are looking at the right place! 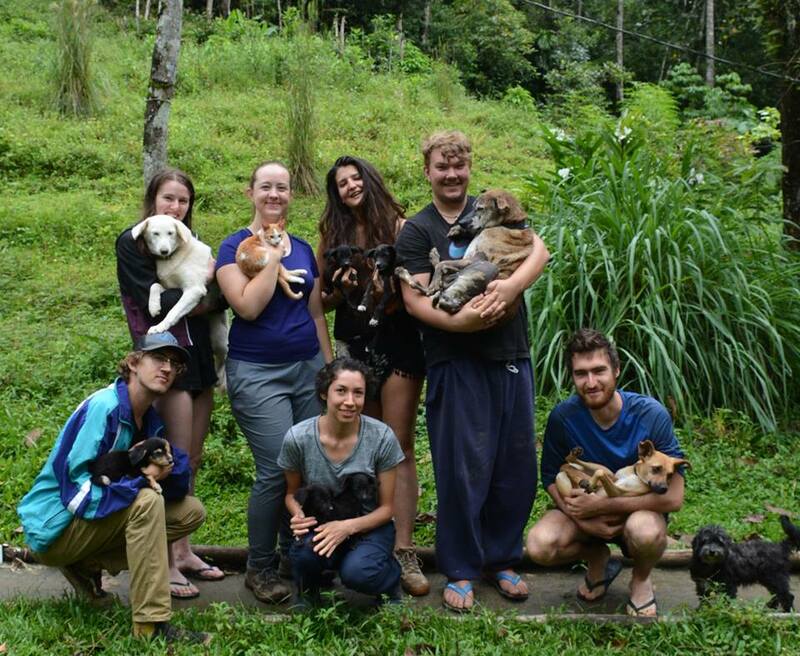 Planet Costa Rica is an animal rescue and sanctuary. We care for street dogs, cats, horses, pigs, goats and chickens. We tend to injured wildlife and injured or sick domestic/stray animals as well. We have cared for sloths, toucans, armadillos, possums, snakes and baby rats. We never know what type of animal in need we will encounter! We are not a commercial farm. We are not a charitable organization. We are not a wildlife or veterinary hospital. We have simply chosen to open our farm and our hearts to creatures in need. We grow organic fruits and vegetables here as well. We put in gardens when the weather permits. Most of the food is used for our consumption. Sometimes we sell our excess at the market. On this blog you will find a wealth of information to help you with your upcoming trip. We will cover everything from what to expect to what to bring. If you have questions not covered here, please do not hesitate to contact us. If you have not done so already, please complete and submit the Questionnaire / Application. Once we have reviewed your application we will will be in touch with you by email.